ミックスジェットシリーズ | Tanaka Metal Factory CO., LTD.
What is the mix jet? What is the Air Jacket ®? There is an air pocket between the shower head housing and the water pipe. This air jacket stops the shower head outer from getting hot. Mix jet method saves water and saves energy. Using a shower head utilizing the mix jet method we can save 50% of water. You can enjoy water saving. A family of 4 could save roughly 60,000 liters of water per year. That means about 60 yen per day or 20,000 yen per year. 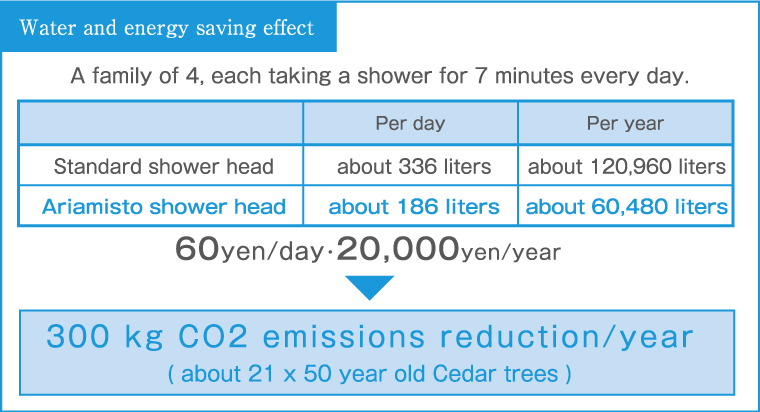 Using less water also saves on the heating cost which also means it is earth friendly reducing CO2 emission. By connecting the water adjustment adaptor you can regulate the amount of water being used to adjust the water saving rate. 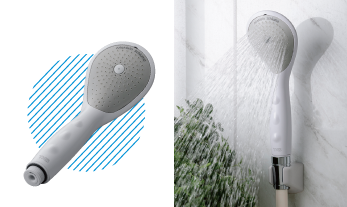 The new model Schiuma also reduces shower sound. 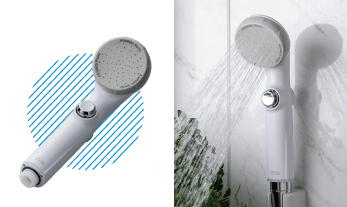 The high quality water saving features of the Ariamisto are incorporated into a shower head that fits perfectly into a women’s hand. Air bubbles mixed into the water increase water volume. 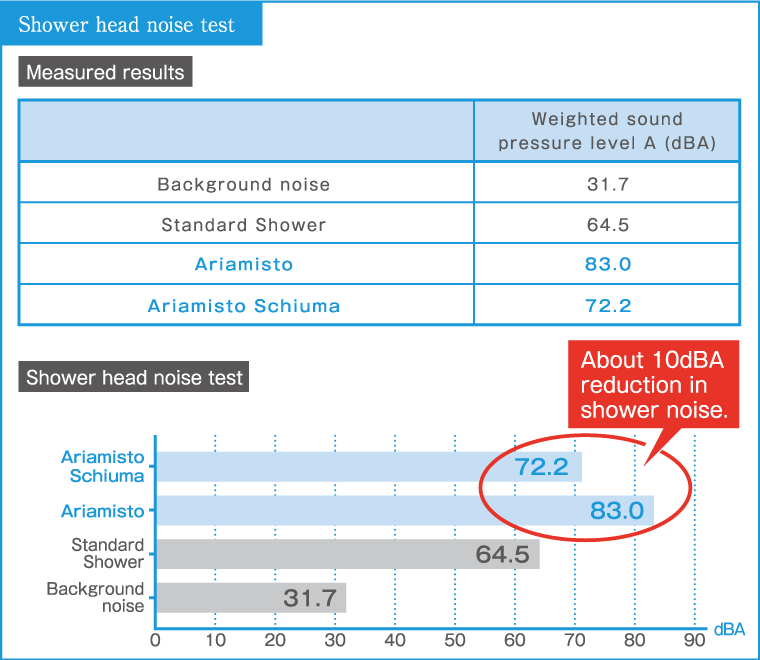 Compared to a standard shower head using the same volume of water, the Ariamisto has a higher washing performance. Based on research on the traditional Ariamisto, improvements have been made such as the showering area being made wider giving a more gentle water feeling on your skin. 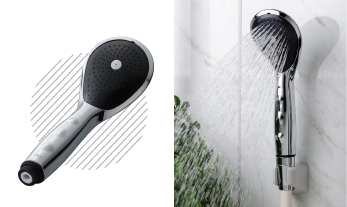 Ariamisto is a patented mix jet method shower head (Patent No. 3747323). Mixing air into the water increases the volume while reducing the amount of water used by up to 50%. It is highly recommended for Spas and public baths. 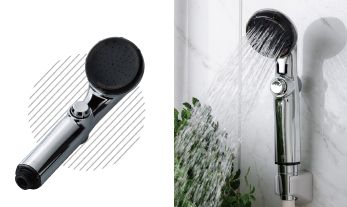 This is an adapter that you can connect to your favorite shower head to gain up to 50% water saving. It utilizes our original mix jet method maintaining water pressure while saving water. The water pressure will of course vary between areas. The water flow can be adjusted to suit your needs.